For the hundredth birthday of the creation of “Taiwan R.O.C.”, the main aim of the Taichung City Government is to honour the local building traditions and symbolize the new Taiwan dynamics into economic, political, social and cultural achievements. 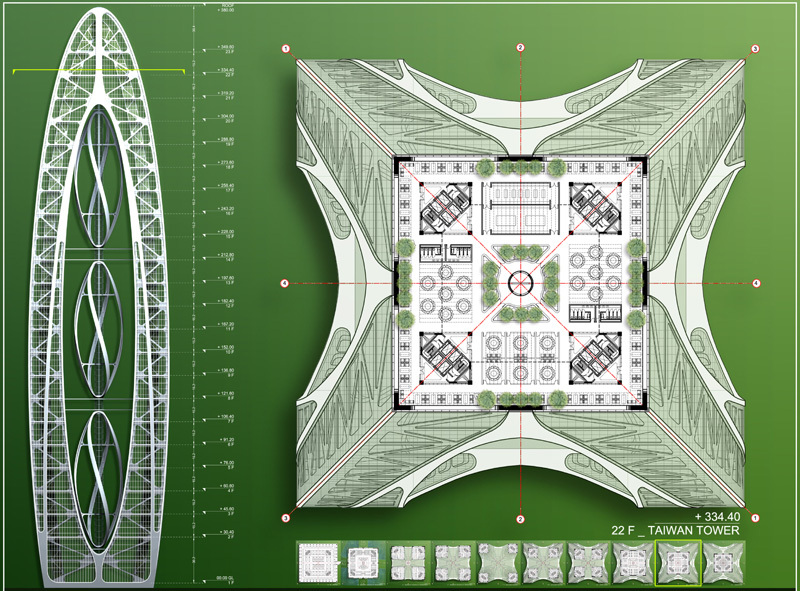 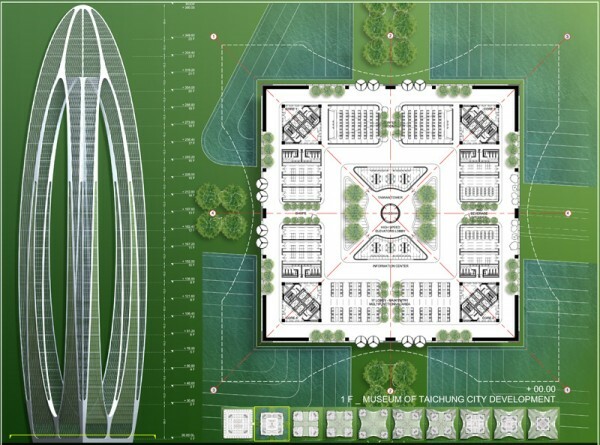 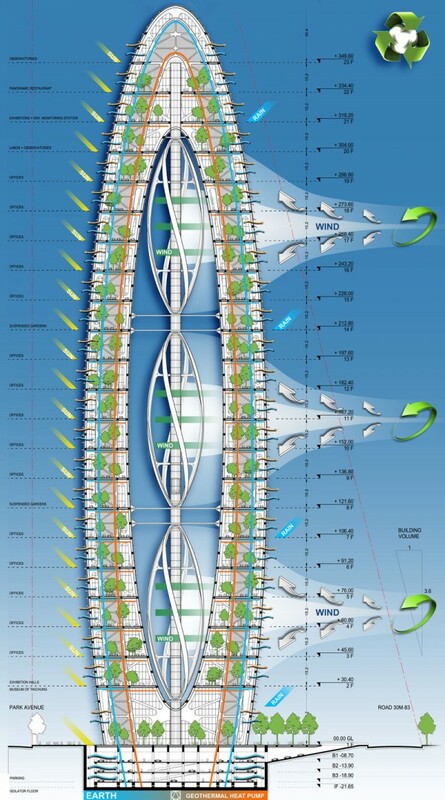 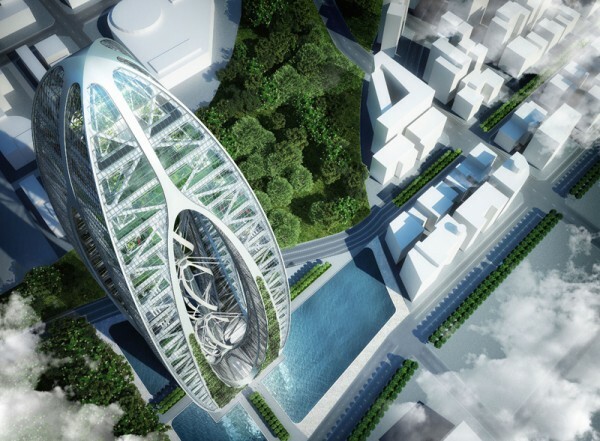 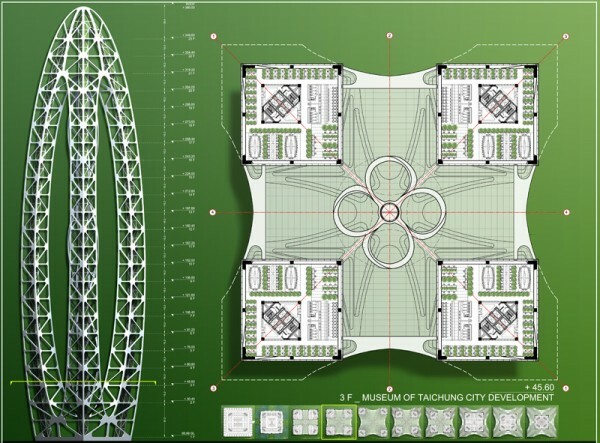 International model of the green building of the 21st century, the innovative and pioneering design of the Bionic Arch by Vincent Callebaut Architecture is part of the new master plan “Taichung Gateway – Active Gateway City”, the future urban oasis for lifestyle, innovation, culture and biodiversity in the heart of Central Taiwan. 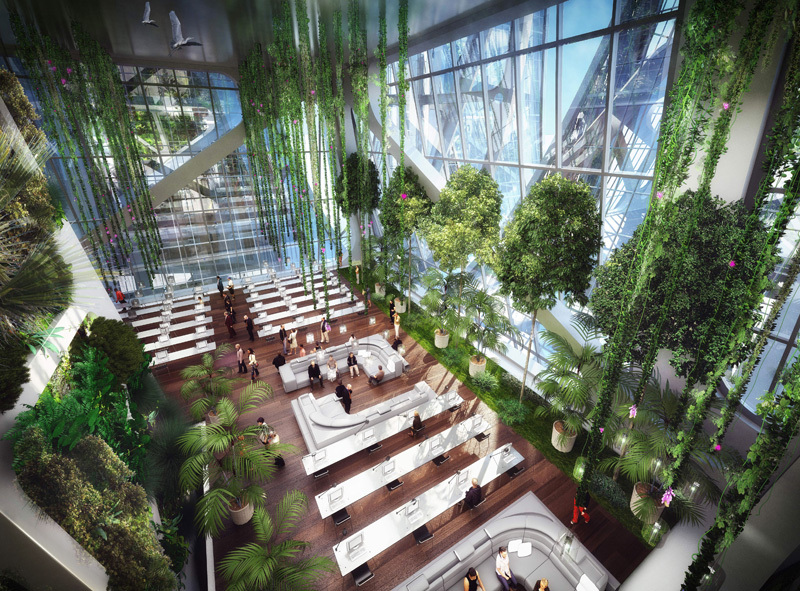 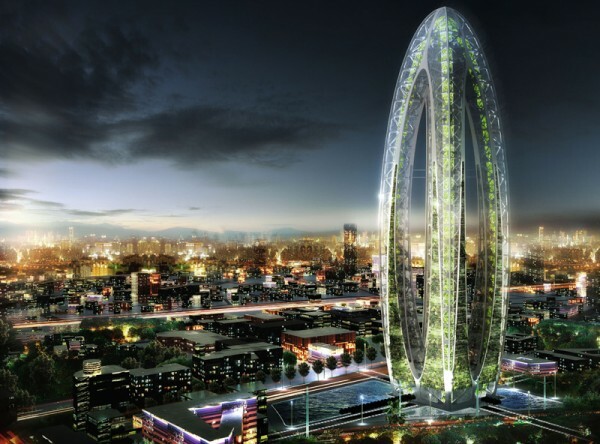 The green tower combines and surpasses the nine major indicators defining a green building by law, and intensifies the relation between the building site and the surrounding Taichung Gateway Park, including an environmental integration of the park and the green land, the integration of green vertical platforms, sky gardens and living façades, interaction between human and natural environments. 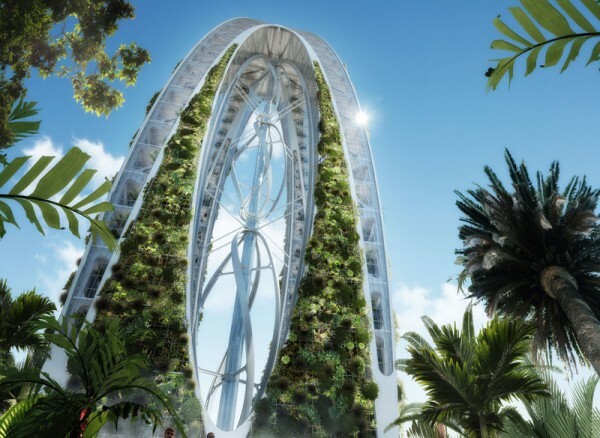 It actively contributes to the development of the use of new sustainable energies (solar and wind generated power, coupled with botanical and bio-technologies), emphasizes cohabitation and respectful attitude in order to reach even higher standards than regular green buildings. 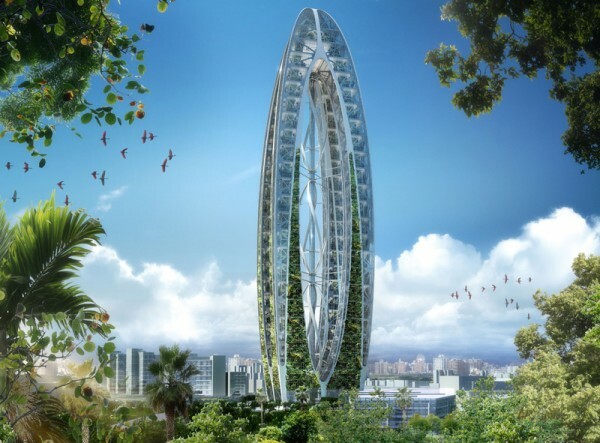 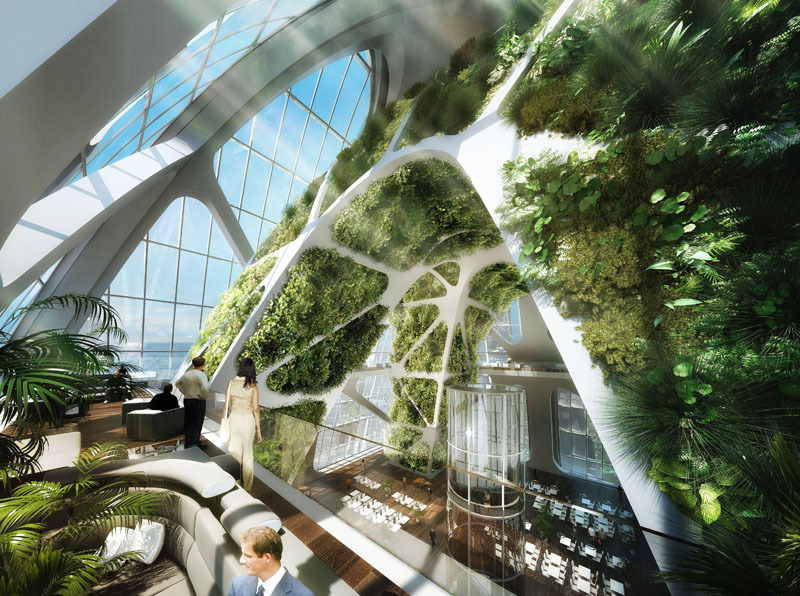 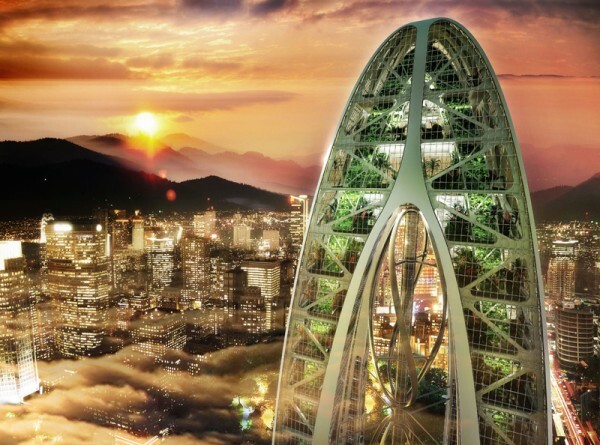 Raising awareness of climate changes and the need for environmental protection, Taiwan Tower will become the new landmark of sustainability, 100% self-sufficient with CO2 zero-emission, therefore contributing to the government’s policies in terms of energy saving and carbon emission reduction.